and no right hand by natural. 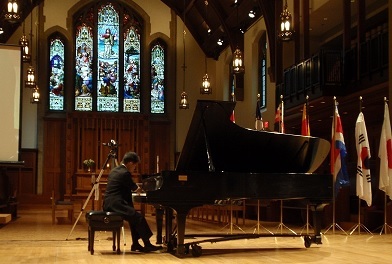 He began playing the piano at the age of 11.
at 2009 in Vancouver and 2013 in Wien. 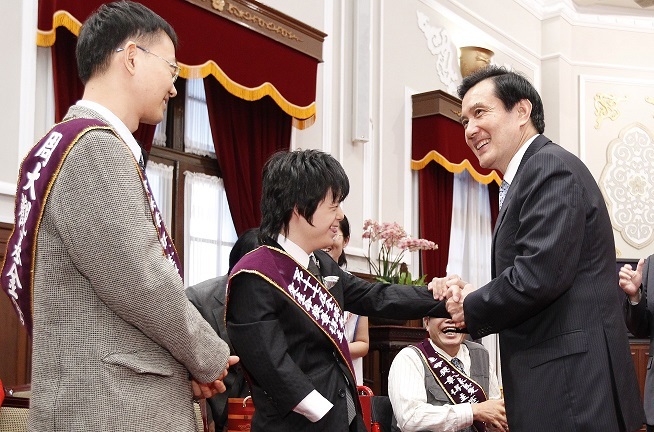 by Chou Ta Kuan Cultural and Educational Foundation in Taiwan at 2014. This prize is called The Novel Prize of Life. while working as “cheerful waiter” at a coffee shop. He has been to a disaster area of Tohoku and Kyusyu to perform for people’s consolation as a person with experience of Kobe Big Earthquake. He has Down's syndrome and no right hand at birth. The intelligence impairment level is “serious”. When he was born, he had other many physical problems. Until he was 4 years old, he had usually stayed at a hospital and had some operations. Both my wife and I had no experience about disabilities until his birth. We were shocked very much. We could have no hope about Rintaro’s future. At present Rintaro is very healthy and strong, and plays his roles as a social member. Do you ask what his roles are? Yes, they are "a cheerful waiter at a coffee shop", “a pianist with disabilities” and “a person who makes everyone happy”. He goes to work 5 days a week from 9 a.m. to 4 p.m. As "a cheerful waiter", he serves some foods and soft drinks and bright greetings. The sales amount of his coffee shop went up since he had been employed. He also performs a piano at various places from 20 to 30 times a year. He has been to The Great East Japan Earthquake area to console people. I can say he is happy now and makes us as his parents as well as everyone surrounding him happy. Why could we change like this? There were some reasons. First of all many people have helped us. For example, they were school teachers, his class mates, neighbors and people of government office. Of course, I must not forget his doctors. 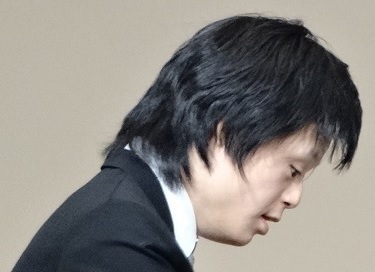 The disabilities and sickness which he had at birth disappeared after several years except Down’s syndrome and right hand. What’s more he has grown up to be a strong boy. This is because of the exercise and food we forced him and Growth hormone treatment from the doctor's recommendation. And I want to add Rintaro’s effect on all people helped him. He likes to communicate with everyone with smile. This friendly character is also natural. In his childhood my wife had to stop him to give a greeting anyone in the street. My wife and I have been encouraged by his character. The turning point was an encounter with a piano. Rintaro became a student of an elementary school at 7 years old. He needed for helps all the time. He couldn’t go to school by himself and couldn’t follow the any curriculum. One day in early summer, we discovered him alone playing a toy-piano moreover he had no text book. It was a big surprise and delight for us. I remember still now it was like a linear light shining from the dark sky. He began to go to the lesson of the electric key-board. Young single female teacher taught him some children's song played by left 5 fingers. When he was 11 years old he had to change the class because this first teacher had moved away for marriage. Then we decided to request Mrs. Adachi. She was a piano teacher not an electric-keyboard. 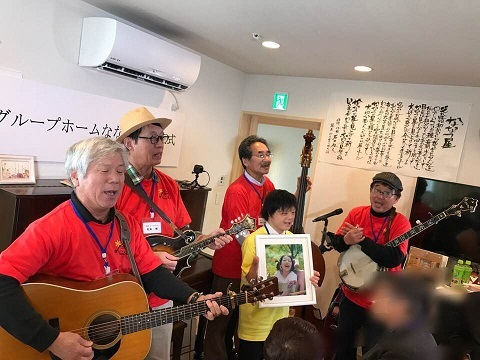 First day when my wife and Rintaro visited her, Rintaro played the song for kids by only left hand. At that time Mrs. Adachi asked. “What is your right hand doing?” My wife and Rintaro didn’t understand. “What? Is right hand?” Then Mrs. Adachi played a song by her left hand and right fist. My wife and Rintaro were surprised and understood. “We can and we may play the piano like this”. Mrs. Adachi said “Rintaro, play your own piano. It’s all right.” Then Rintaro’s piano life started. 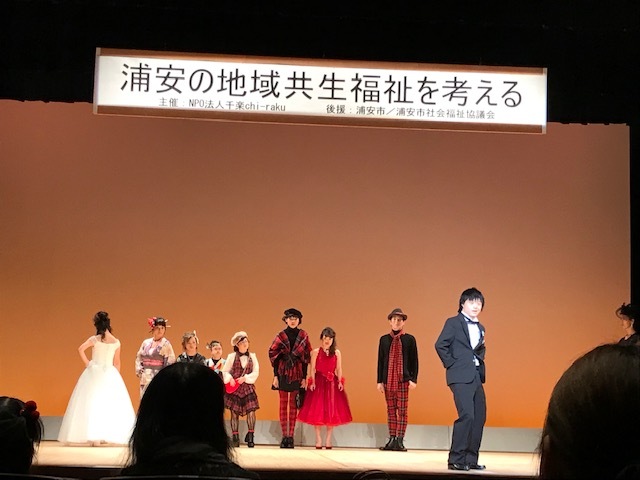 It was surprise for me that Mrs. Adachi started to teach Rintaro some classic songs. The other one day I shouted. “It’s unbelievable!”. It was caused by Mrs. Adachi’s saying these words. 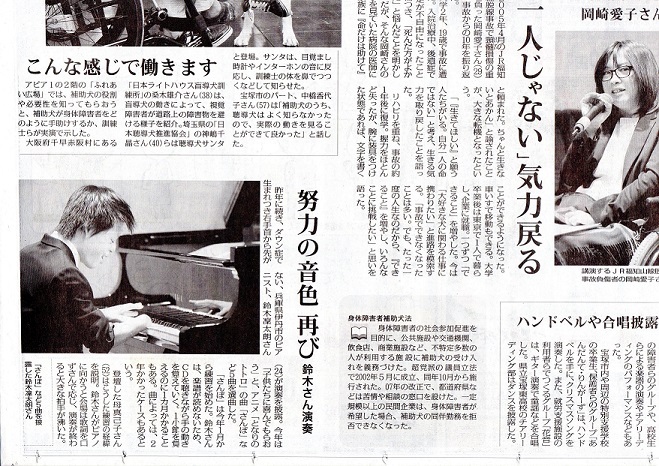 “I will make efforts for Rintaro to participate the International Piano Festival”. 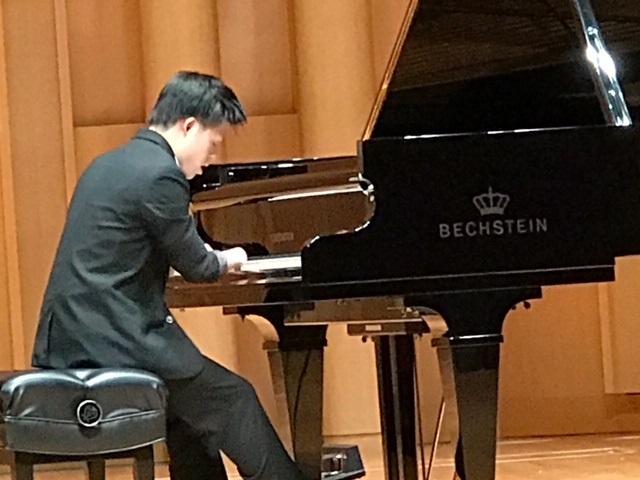 The second International Piano festival by the people with disabilities would be held in Vancouver 2 years later. I thought it was a dream far away. But teacher was serious. And Rintaro said that he would follow her. 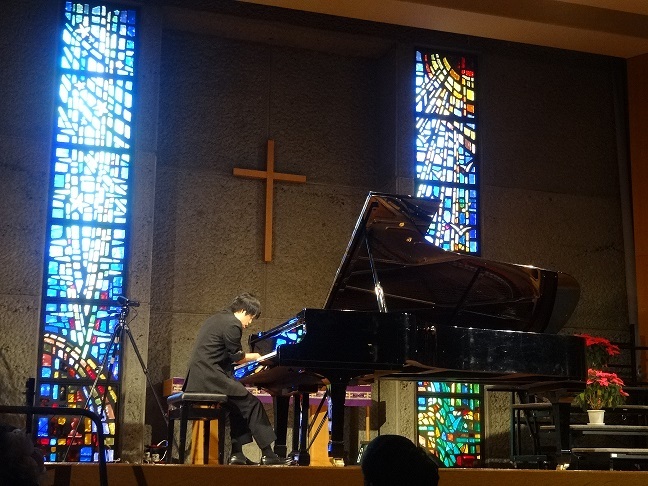 Their selected song for the festival was “Beethoven’s piano sonata (pathetic), the second movement”. I had no knowledge about this song at that time. We bought an upright piano for home-use at first time. Rintaro had a big fun, and he came to practice more. He was a high school student. Every day he went to play a piano over 2 hours. In the beginning his sound was not good, but as time passed he played better, and the melody and music of Beethoven became clearer. Teacher’s and his hard efforts led him to Vancouver after 2 years. It was autumn when he was 18 years old. Rintaro can’t read the music sheet. This is his sheet. This is Japanese character ‘katakana’ means sound. DO RE MI… He practices while reading these characters. When he learns a new song first he tries to remember the procedure of just right hand for every short part. And then the movement of left hand for the same part. And make them together. For each part. Like this he steps ahead little by little every day to pile up these efforts. It’s not easy to remember for him. He needs about 2 years to learn the song for about 5 minutes for Beethoven’s or Chopin’s. He never gives up. And maybe piano lesson is not pain for him rather than joy. I think he believes “I will go to be able to play this song someday certainly". Now I would like to for you to see his introduction video for 8 minutes. This was created by students of our near local high school. I am sorry, but just it is in Japanese. The story is almost same as that I spoke now.You can see the Japanese real scene and I will explain sometimes. 02. This is coffee shop where Rintaro works. 06. How did Rintaro begin a piano? 07. 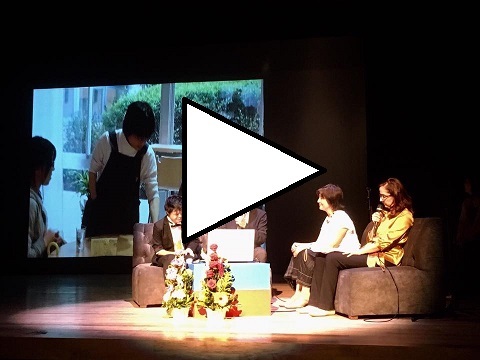 She is talking the story about toy-piano. 11. His efforts connected with the world. Vancouver, Wien, Taiwan. 13. Why did you begin a piano? I only wanted to play. 14. This is a dark topic in his childhood. We tried to hide his right hand. 16. When he visited the high-school where this video was created. 17. Pretty students. This song is “Furusato” like “Cielito Lindo” for Japanese. 18. Pre-school teacher is talking that he was utilizing his remaining function. It was impressive. 19. Primary school teacher is talking that he gave us power to cooperate every time. No one could imagine that Rintaro plays a piano. I think every human has unlimited possibilities. I'm wishing that he will complete his own life and many people will believe their own possibilities through his performance and existence. 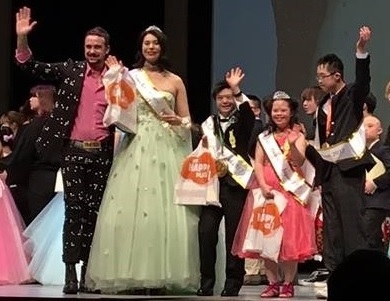 Now I finish my presentation with thanks to everyone who had a relation with Rintaro up to this present wonderful day. Thank you very much.Gracias! Copyright (C) 2018 鈴木凜太朗オフィシャルサイト All Rights Reserved.